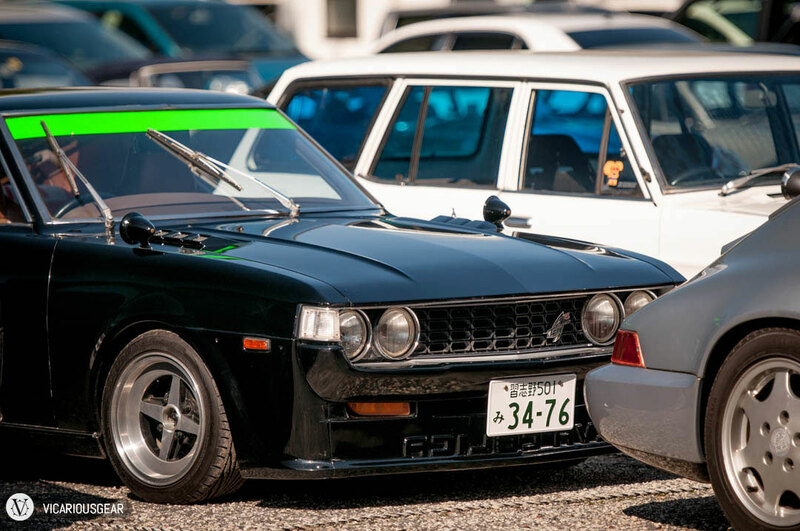 So I almost forgot to post all the interesting cars in the parking lot from the JCCA Endurance event. Since it’s on my minds I figured I better get it done before they end up trapped in the depths of my hard drive. 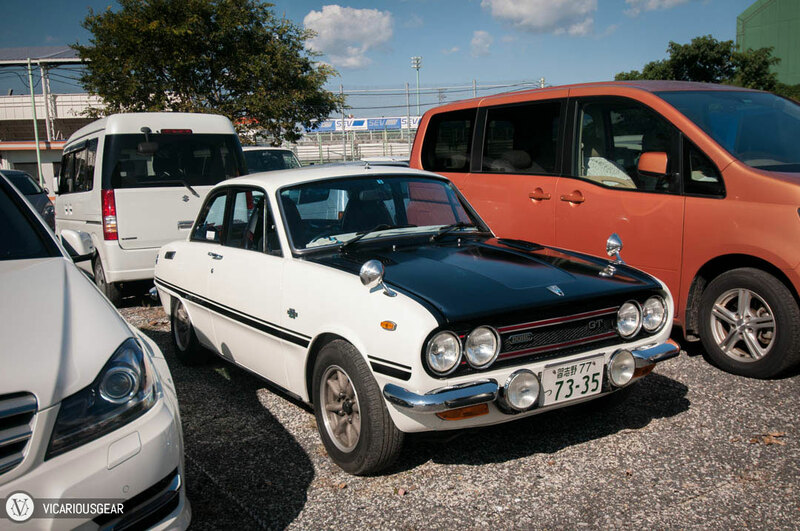 The quality and rarity of cars found in Japanese event parking lots never ceases to amaze me. 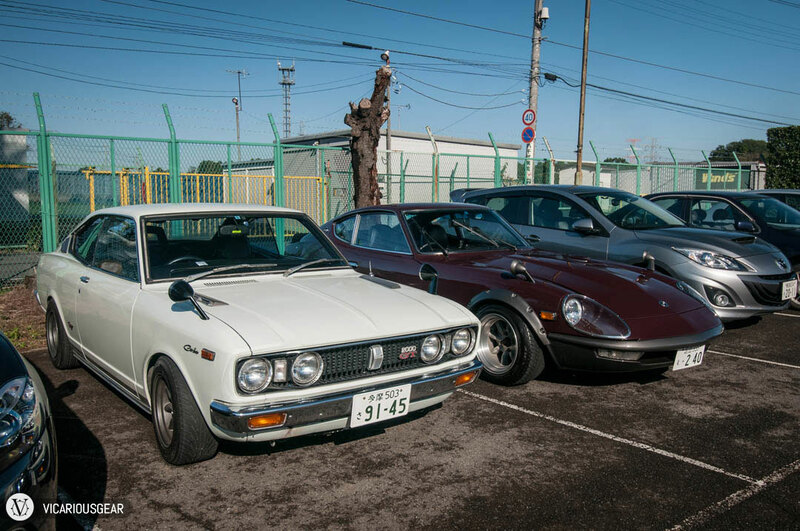 My first stop of the day would actually be the Moriya parking area to meet a friend. 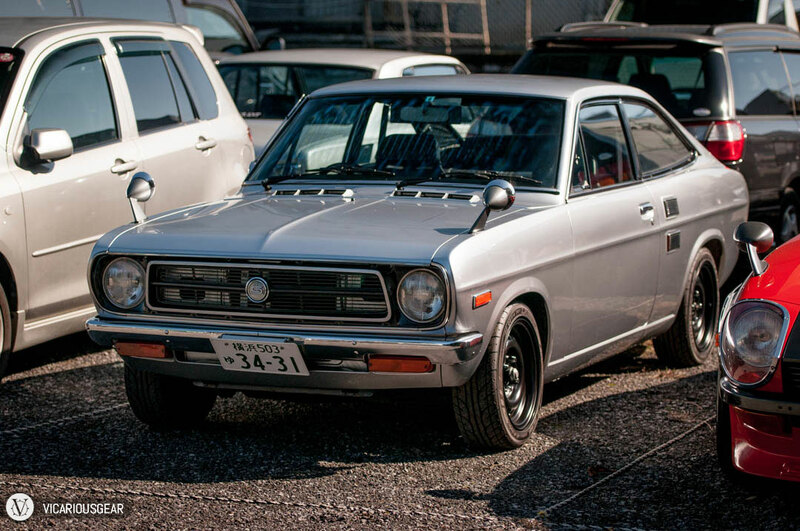 After finding a spot for the Hako it was time to see what had turned up. 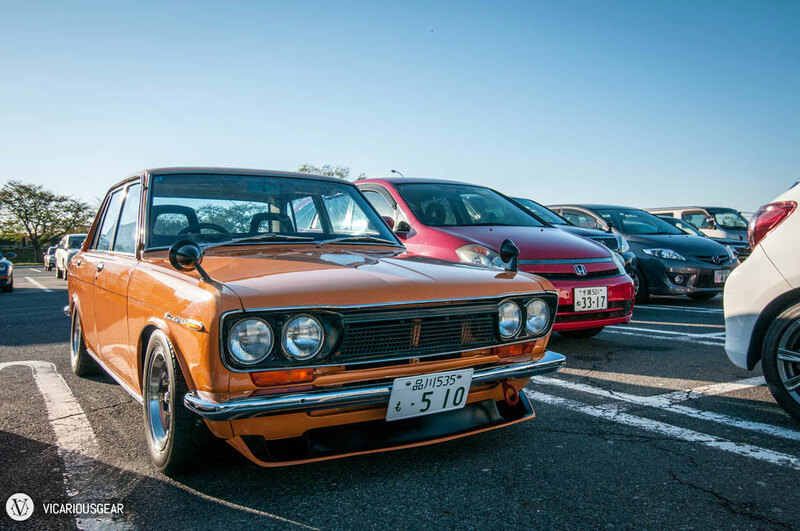 This awesome 510 pulled in just in front of me. 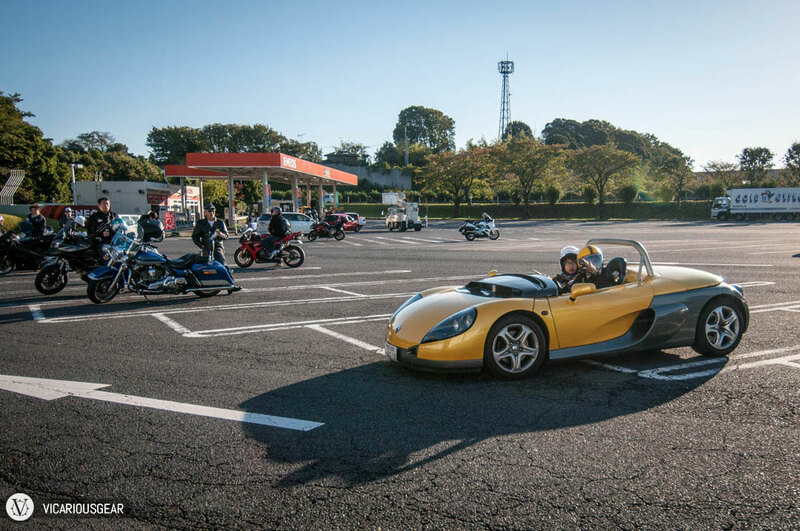 It seems I turned up a few minutes too late as the group that came along with this Renault Sport Spider were already on their way out. 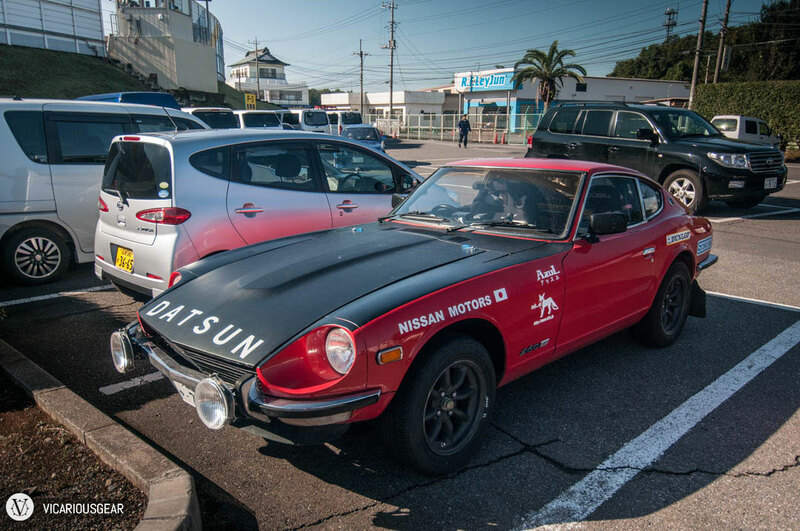 I loved that this guy was sporting the version without a windshield. 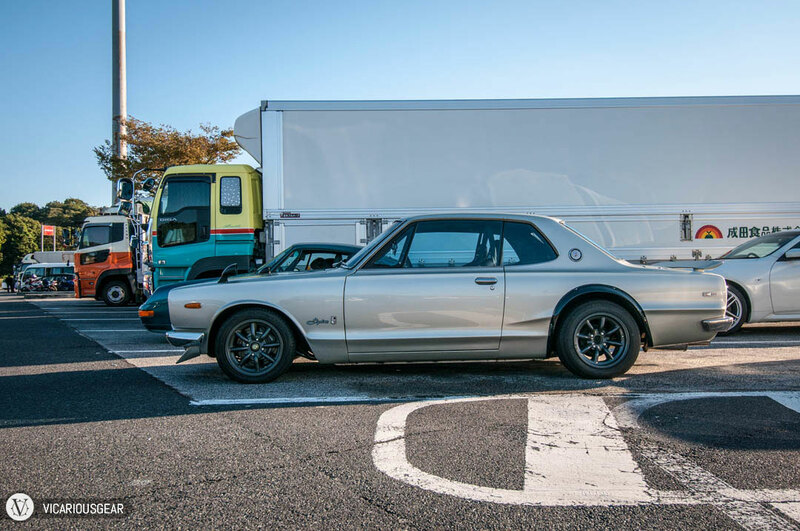 I got to Tsukuba before the back parking lot had filled up so I decided to return at the end of the day. 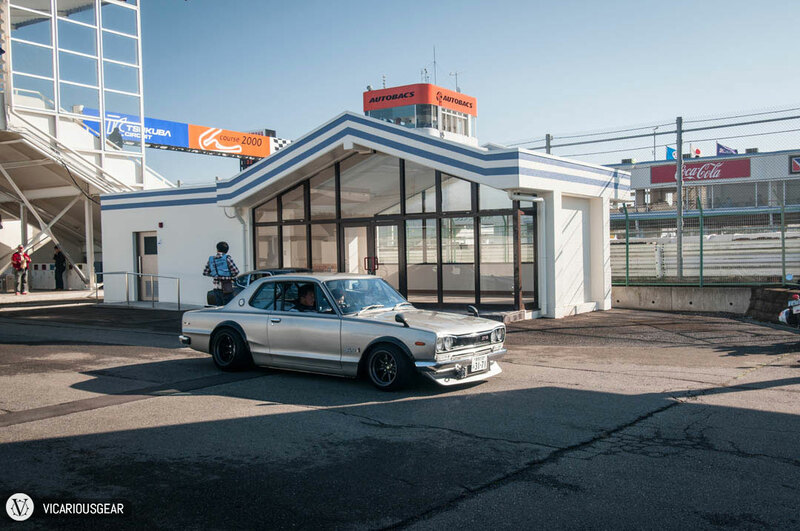 This particular Hako had secured a pretty cool spot under the grandstands though. 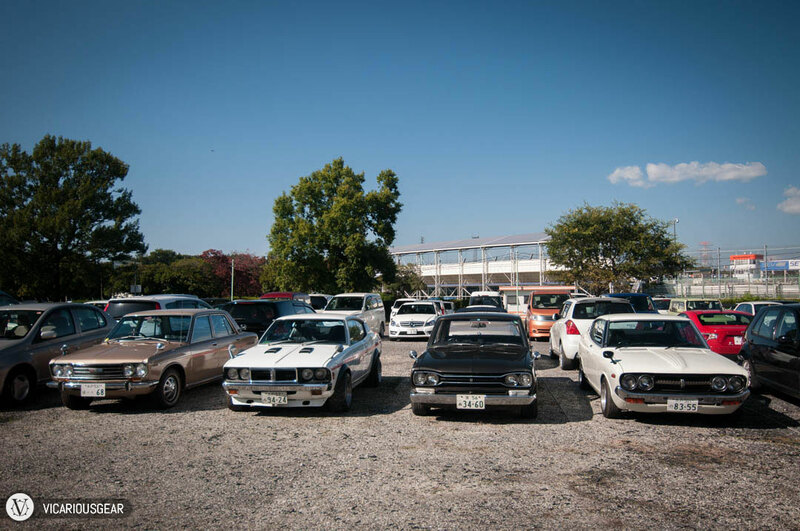 As I rounded the curve towards the main entrance, I was greeted by this car club filled with Hakos and Kenmeris. The Marchal lights are pretty popular amongst the vintage crowd here. 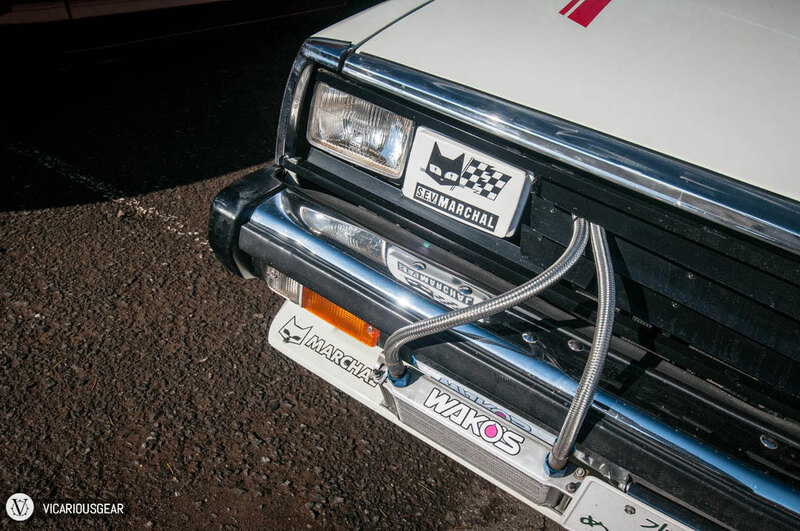 I wonder if the cat logo has anything to do with it. 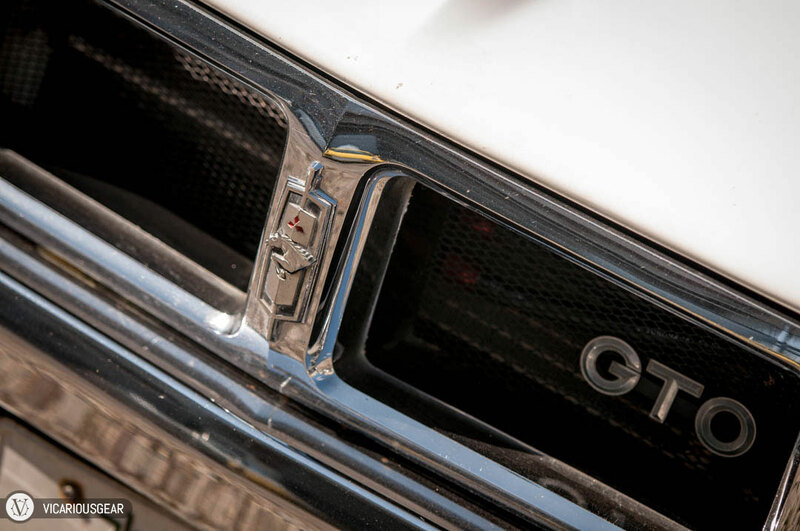 The fact that so many cars were badged “2000GT” in the 60s and 70s still amazes me. 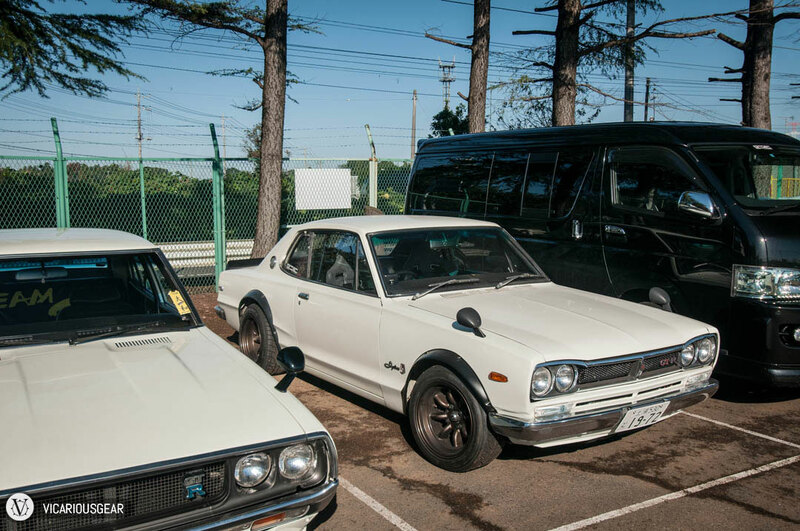 I did find a real Kenmeri GT-R though! 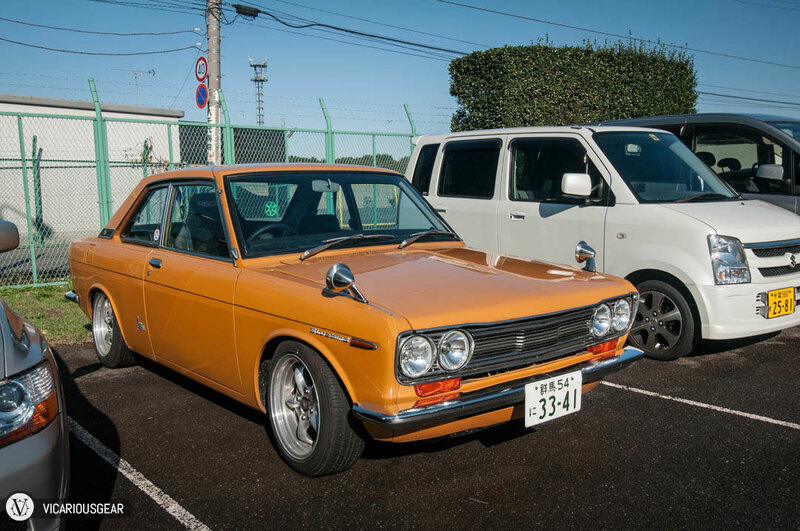 What are the chances of seeing two orange 510s on the same day? 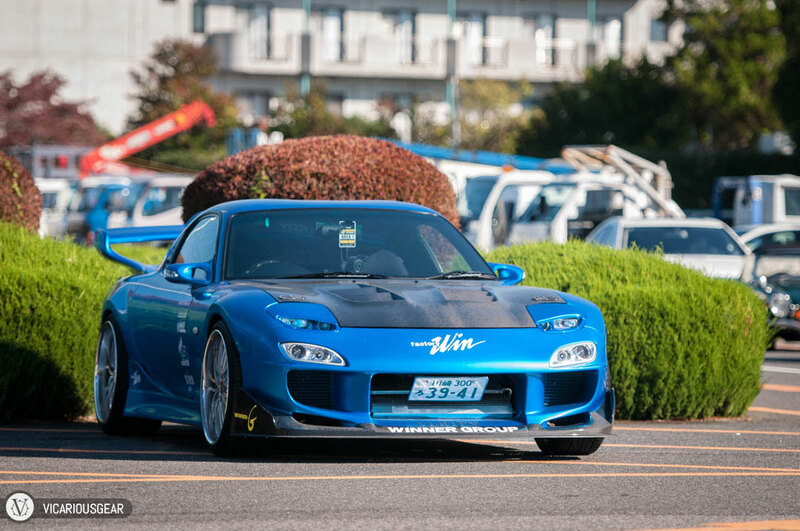 She stood out like a sore thumb at this event but seeing this FactoryWin FD RX-7 was a nice change of pace. 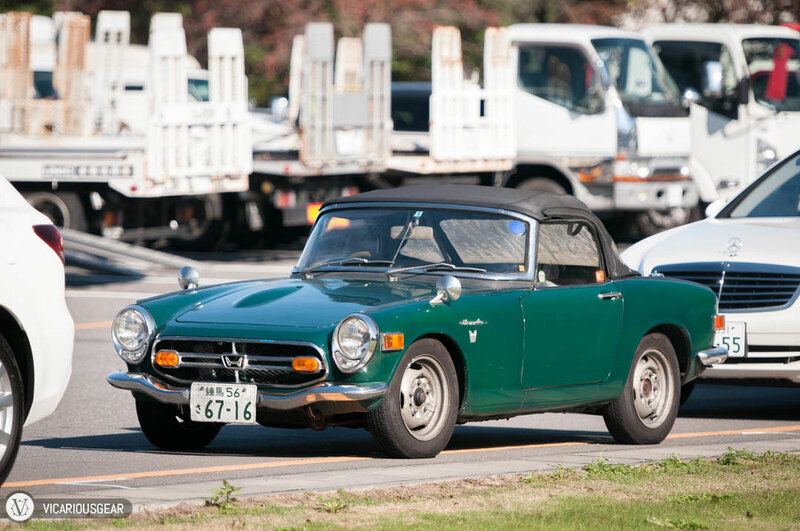 This Honda S800 chose to park amidst the largest cars and trucks it could find. 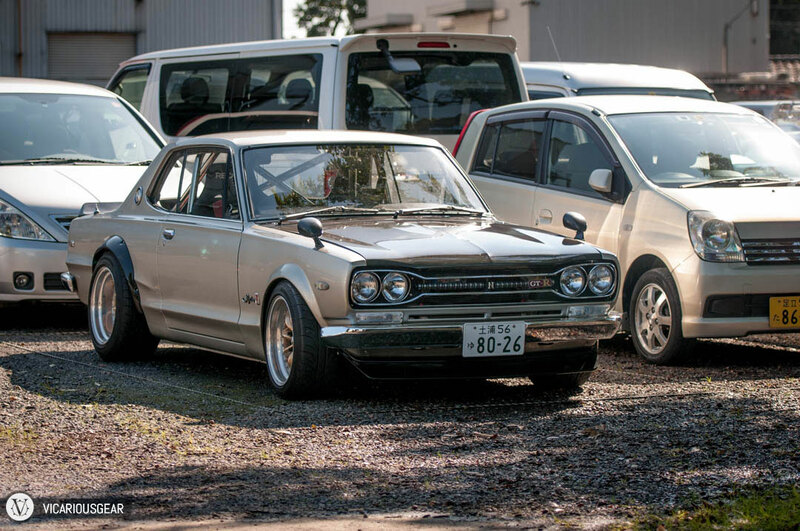 Aside from the carbon hood and roll cage, this Skyline Hardtop coupe stood out by choosing to run the grill and tail lights from a 1970 sedan. 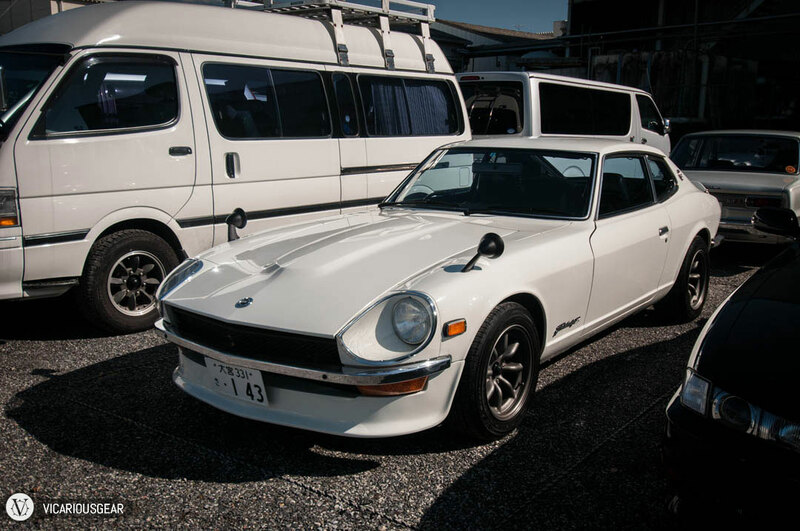 A nice and clean Fairlady Z 2+2. 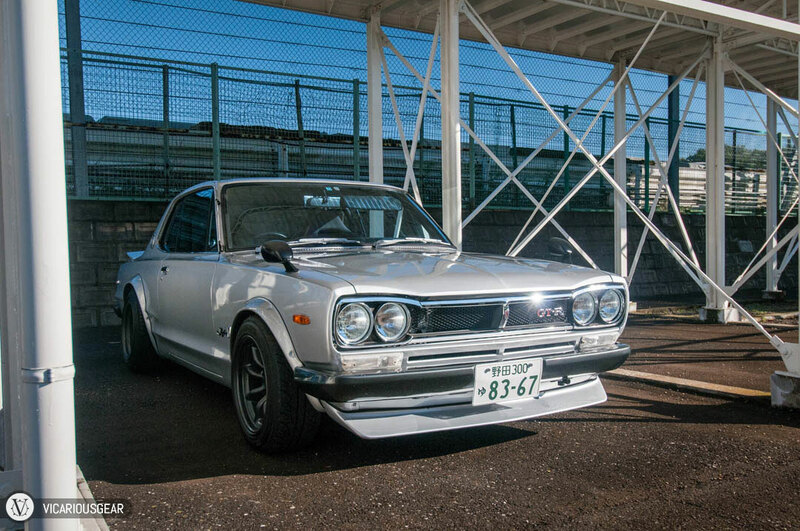 The roofline has definitely grown on me since living in Japan. 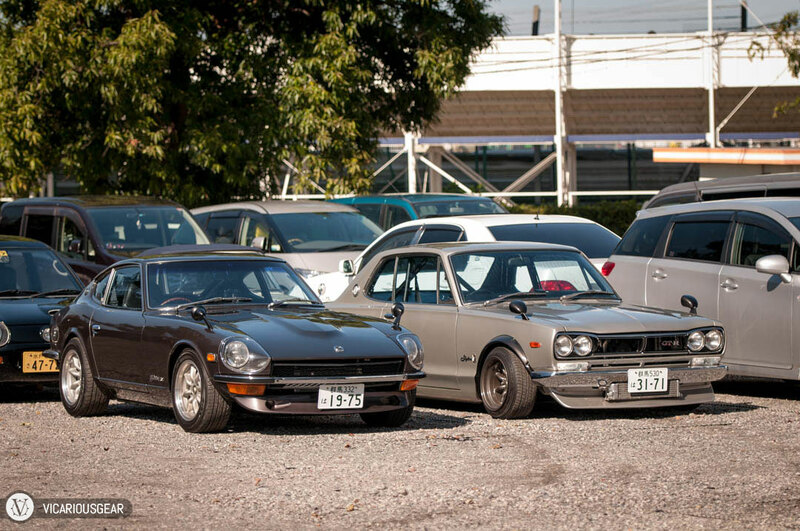 I definitely need to acquire an S30Z to go along with the Hakosuka at some point. 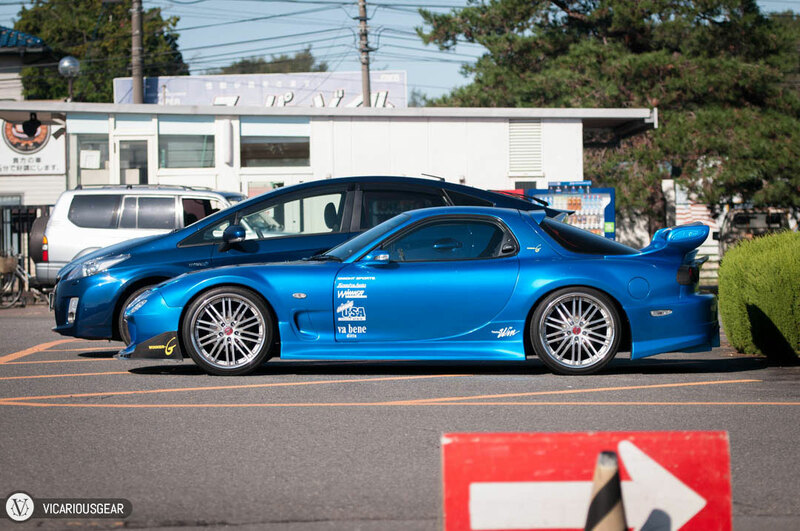 I like his external oil cooler mounting solution. 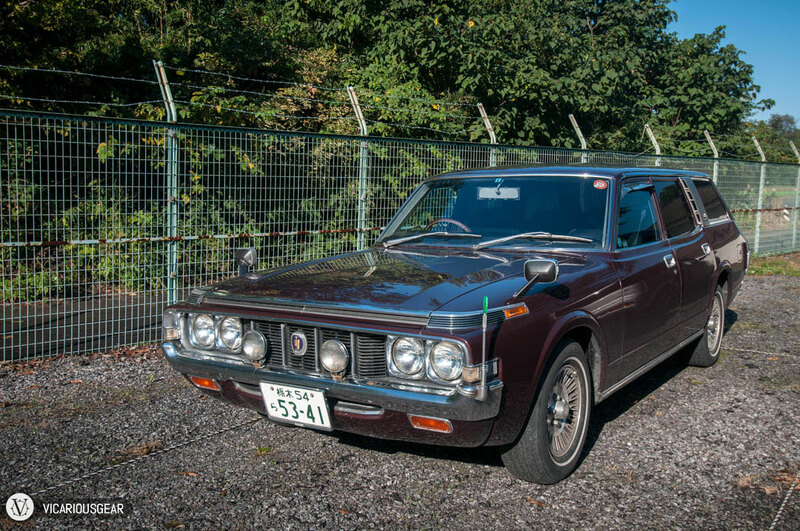 Purple Toyota Crown station wagon. For some reason the green tipped parking gauge felt right on this car. Good vs Evil. 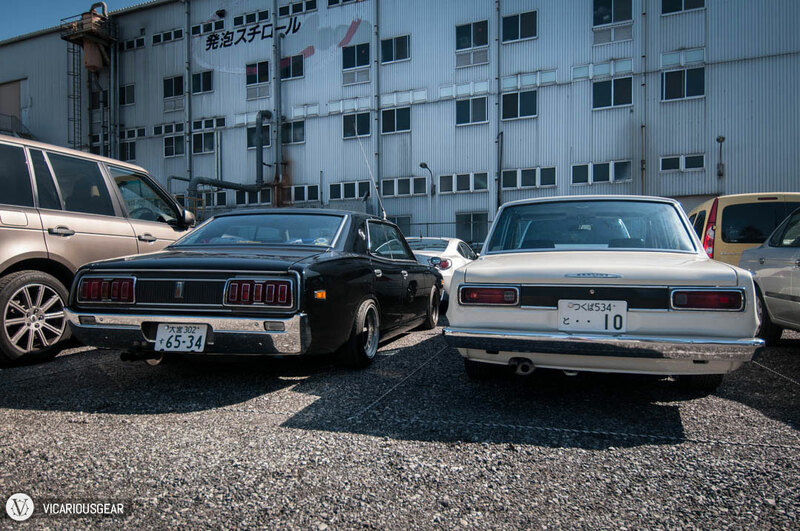 Nissan 230 Cedric and 2000GT Skyline sedans. 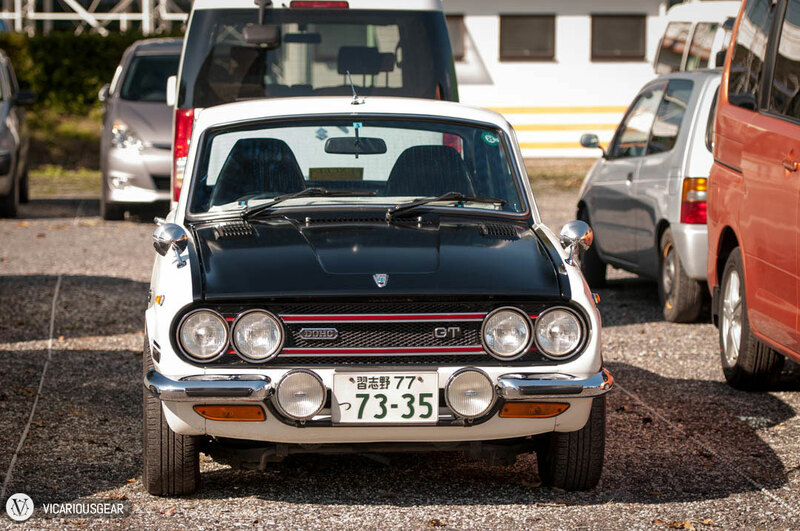 An interesting reference to the American pony cars from which many of the early Japanese styling cues were drawn. 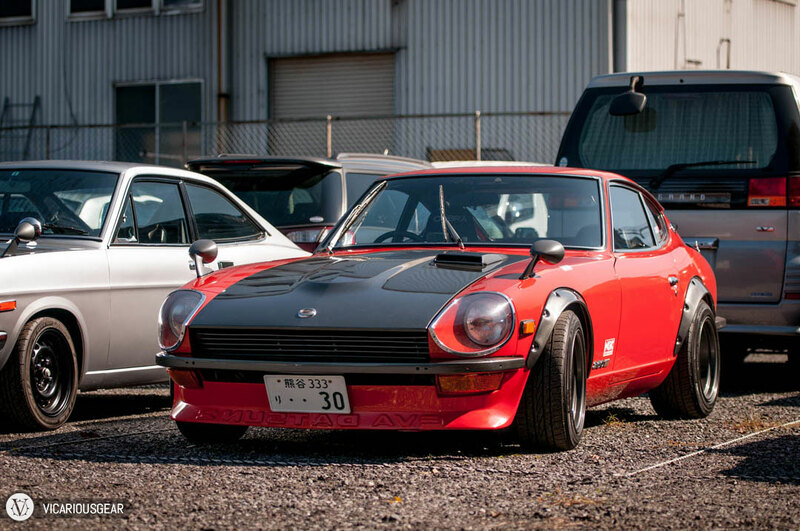 A great looking Fairlady in red sporting an EVA splitter and overfenders. 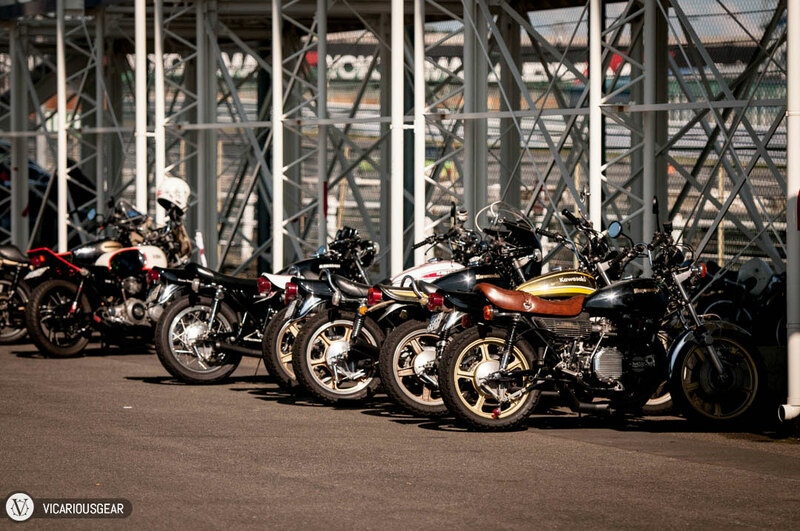 I’m not sure what model the mirrors are from but they look pretty good. 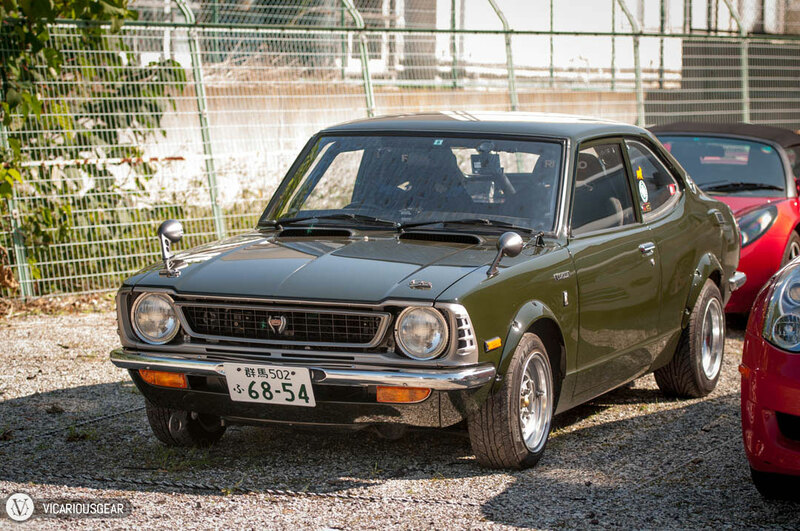 I’m actually not sure exactly what this is although it has a ton of Toyota Corolla styling cues. I’m really starting to like these TE27s. 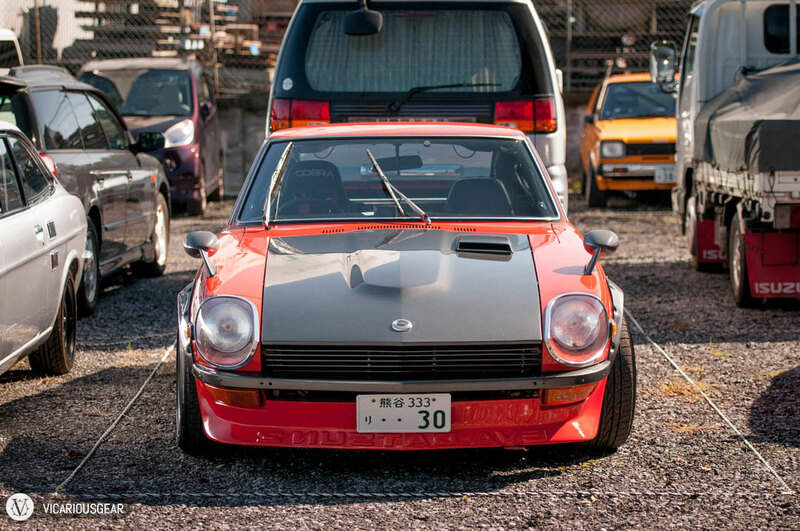 Some more EVA bodywork on a RA25 Celica. 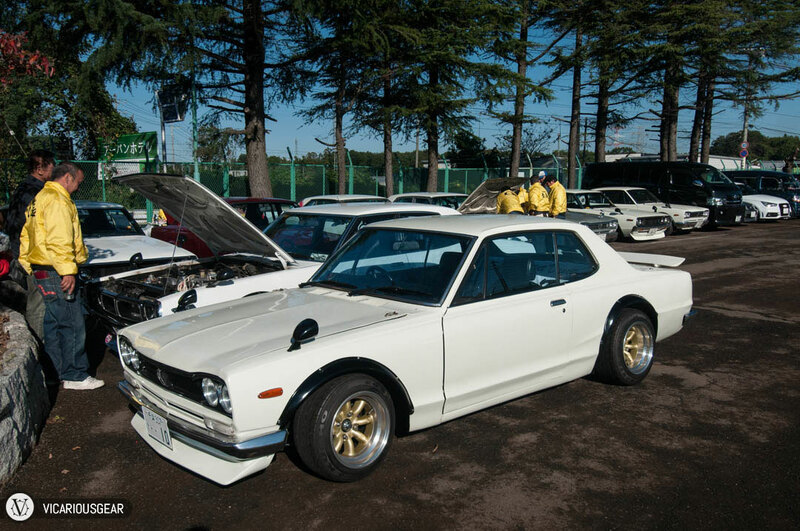 I’ll finish off with real rarity. 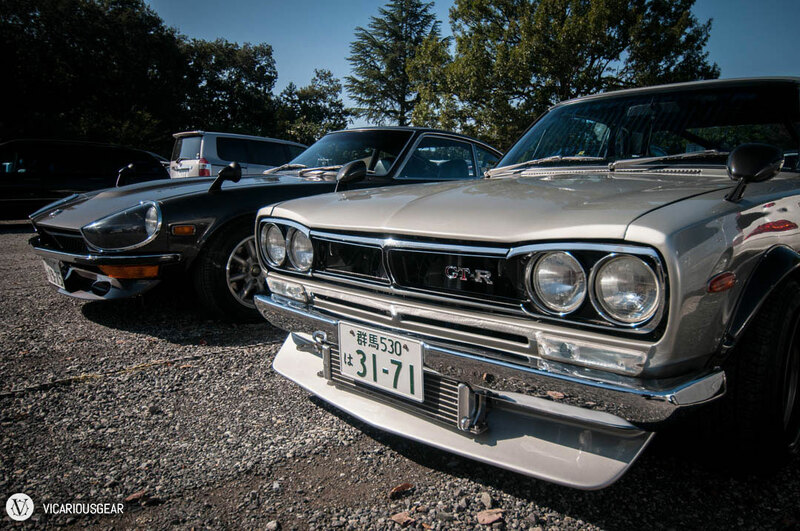 A Bellet GT-R that was in great shape. 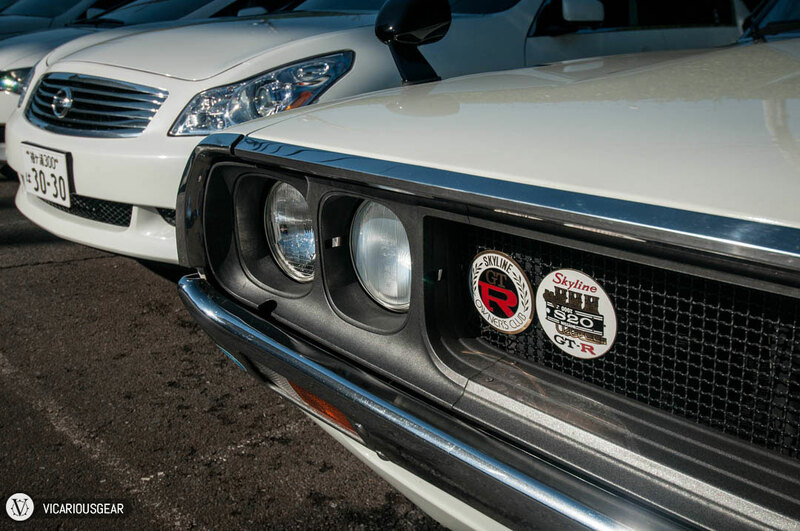 The red trim on the grill is a nice touch.